to the escape hatch! : Favorite Scene Friday! Babe: "That'll do, pig." Favorite Scene Friday! Babe: "That'll do, pig." October is just days away and, as is tradition around here, we'll be celebrating with horror themed articles, reviews and, of course, Favorite Scene Fridays. I've got some friends to help me out again this year so for five weeks in a row you'll be getting assaulted with scary scenes. So let's enjoy a little light-hearted clip from a classic family film while we can, shall we? 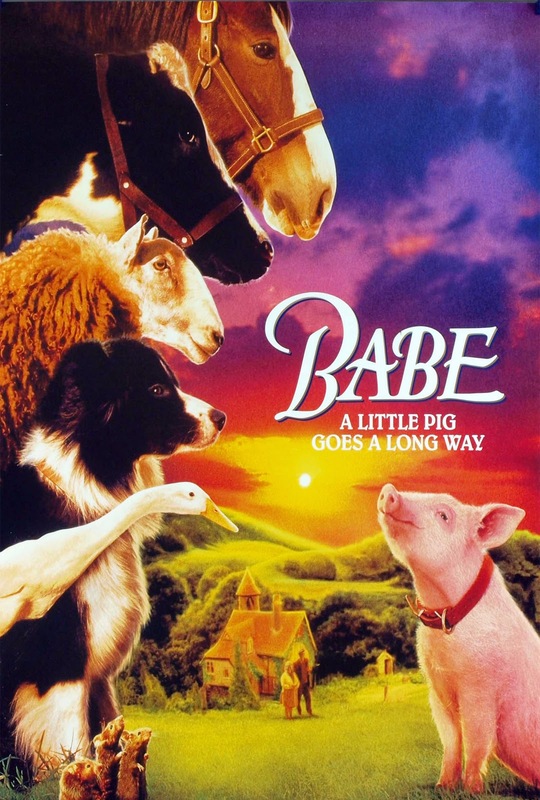 Babe - the 1995 movie about a pig that aspires to be a sheepdog - is a guilty pleasure of mine. 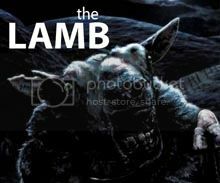 It may be more of a kids movie, but I was 11 when it came out and I've enjoyed it ever since. The film turns 20 next year and it's great to see it aging so well. As our scene begins, Farmer Hoggett (played exactly right by James Cromwell) and Babe (voiced with cute perfection by voice mega artist Christine Cavanaugh) are marching onto the field for the local sheepdog tournament. It's quite a shock to the townspeople, and Hoggett and Babe are met with cruel laughter. Unfortunately this scene is broken down into two separate parts. Let's watch both below. For me, this is one of those great moments in film where the underestimated heroes come out on top. Not only had the entire crowd written off Hoggett and Babe, Hoggett's wife (Magda Szubanski) was hysterical from embarrassment. The crowd's laughter quickly changes to stunned silence once Babe starts leading the sheep around, however. Throughout it all, Cromwell's Hoggett stands by quietly, until it's time for Babe to lead the sheep back into their enclosure. Hoggett slowly closes the gate (has something so everyday ever looked more exciting?) and the crowd erupts into cheers, Mrs. Hoggett's wails turn into tears of joy (perhaps the most convincing I've ever seen), and the judges all award Hoggett and Babe a perfect score (by the way, is it me, or is the main judge dressed like a leprechaun?). This scene - and the movie as a whole - is also quite beautiful, featuring skies that are both tinged with dawn sunlight and filled with moody clouds. Cinematographer Andrew Lesnie (who went on to serve as director of photography for The Lord of the Rings and The Hobbit films, among others) had a little something to do with that. What's your favorite scene from Babe? Great write-up man, this is definitely the highlight of the film. Cromwell's performance just kills me here. It's an "Oscar moment" if there ever was one. Love it. Thanks, man! It really is a great scene and a perfect way to end the movie. Cromwell's a little underrated/underused in my opinion.